Robert Burns is a celebrated Scottish poet and songwriter. 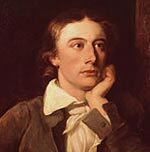 He is widely considered the national poet of Scotland and was an important influence on the early Romantic movement. Robert Burns was born at Alloway, near Ayr, on January 25, 1759. Robert was educated briefly in Alloway before going to Ayr. However, whilst studying his family were beset by financial concerns and Burns was forced to work as a farm labourer. 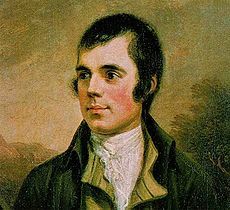 Burns had to work at a variety of labouring jobs, but, in his spare time, began to compose poetry and songs. When his father died in 1784, with his brother Gilbert, he rented a farm near Mauchline; but this was never a great financial success, and he toyed with the idea of moving to Jamaica in the West Indies. However, in 1786, his first works were published under the title “Poems, Chiefly in the Scottish Dialect“. These included works such as ‘To a Mouse’ and ‘The Holy Fair’. The critical reception and relative success of this publication encouraged Burns to remain in Scotland and he moved to Edinburgh where he became involved in the thriving cultural scene. 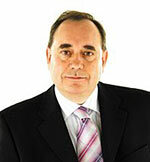 He was also initiated into the Masons and became the poet laureate of the Edinburgh Freemasons. His reputation led to a commission to work on a collection of Scottish folk songs. Burns collected a rich diversity of Scottish folk songs, sometimes improving upon them and also including his own. These were published as ‘The Scots Musical Museum’ in five volumes over a period of sixteen years. This compilation included a reworking of ‘Auld Lang Syne‘ which later became a famous global song, usually sung on New Year’s Eve. In 1788, Burns married Jean Armour and together they had nine children. However, he also had a string of affairs and lovers, such as Mary Campbell. Burns was also a political writer and was considered a radical for his forthright views on republicanism. In 1795, he was moved by the events of the French revolution and its clarion call for equality. He died one year later on July 21, 1796, of rheumatic fever. He was buried in St Michael’s Dumfries. During his lifetime, he was well known but gained little financial compensation for his works. However, after his death, his reputation blossomed and he became an icon of Scottish culture. He was also celebrated in Russia as a poet of the people. Burns Night, effectively a second national day, is celebrated on 25 January with Burns suppers around the world and is still more widely observed than the official national day, St. Andrew’s Day. He wrote in a mixture of English, and a Scottish lowland dialect.